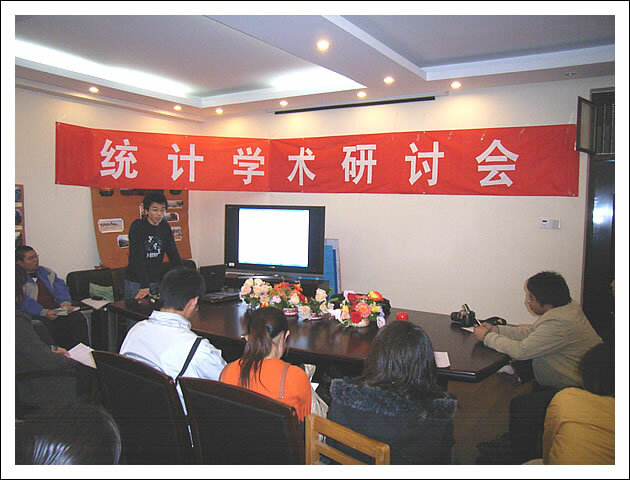 Email: xie@yihui.name; Homepage: https://yihui.name; Twitter @xieyihui. Yihui Xie is a software engineer at RStudio. He earned his PhD from the Department of Statistics, Iowa State University. 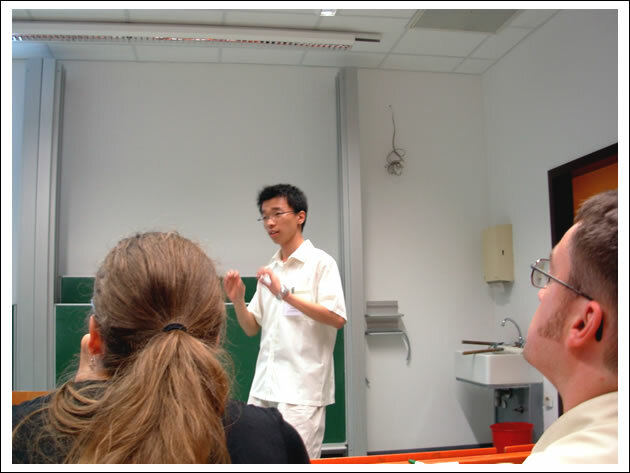 He is interested in interactive statistical graphics and statistical computing. 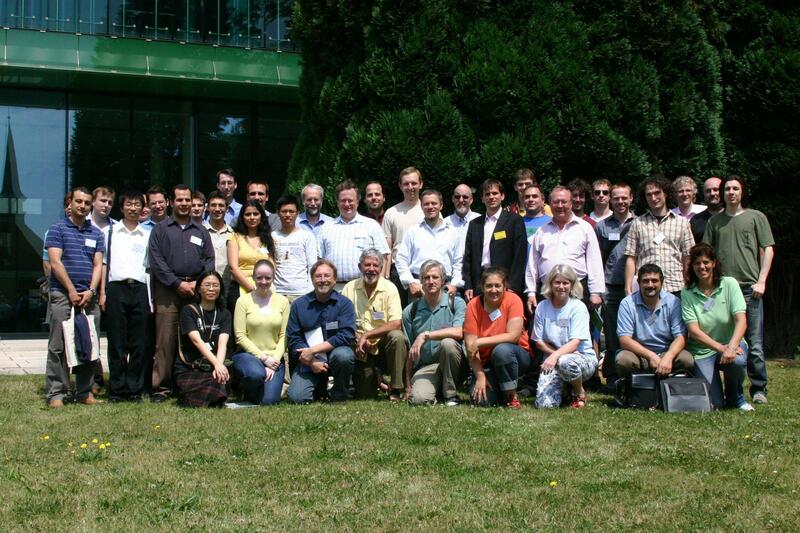 As an active R user, he has authored several R packages, such as knitr, bookdown, blogdown, xaringan, animation, DT, tinytex, tufte, formatR, fun, mime, highr, servr, and Rd2roxygen, among which the animation package won the 2009 John M. Chambers Statistical Software Award (ASA). 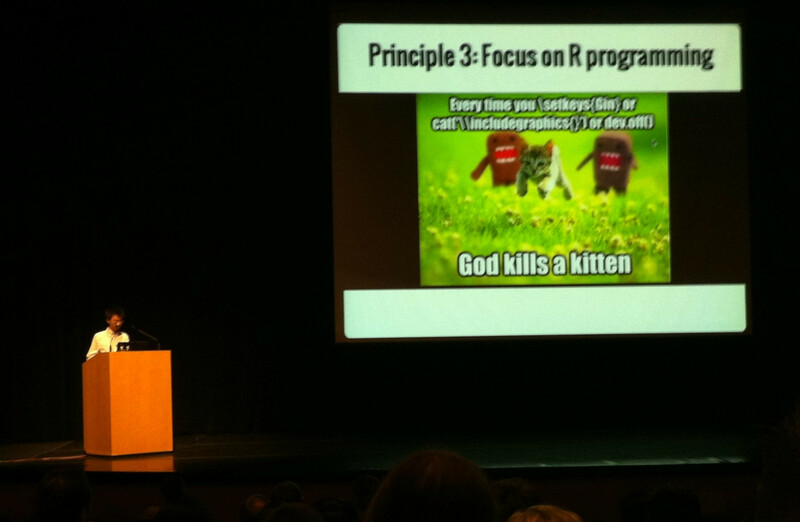 He also co-authored a few other R packages, including shiny, rmarkdown, and leaflet. He has published a number of books, including “Dynamic Documents with R and knitr”, “bookdown: Authoring Books and Technical Documents with R Markdown”, “blogdown: Creating Websites with R Markdown”, and “R Markdown: The Definitive Guide”. 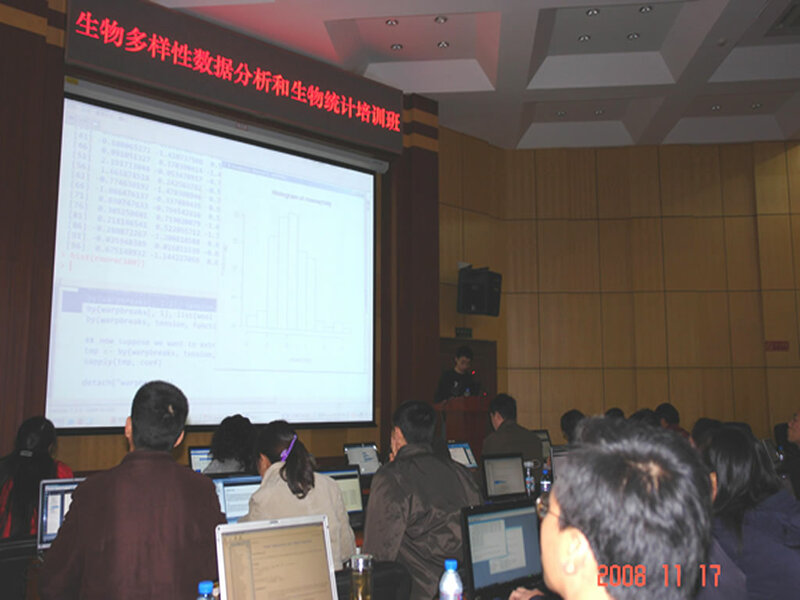 In 2006, he founded the Capital of Statistics (https://cosx.org), which has grown into a large online community on statistics in China. 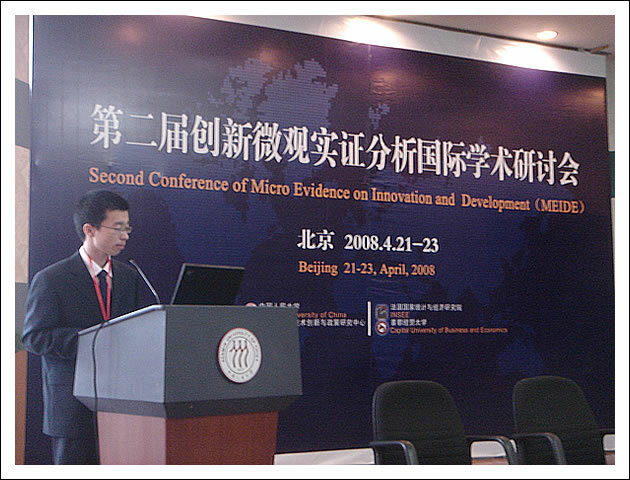 He initiated the Chinese R conference in 2008, and has been involved in organizing R conferences in China since then. During his PhD training at Iowa State University, he won the Vince Sposito Statistical Computing Award (2011) and the Snedecor Award (2012) in the Department of Statistics. Another brief biography can be found on Wikipedia. Reproducible research; statistical computing; statistical graphics; data visualization. See my Google Scholar page for a full list of publications. Yihui Xie, J. J. Allaire, Garrett Grolemund (2018). R Markdown: The Definitive Guide. Chapman & Hall/CRC. ISBN 9781138359338. Yihui Xie, Amber Thomas, Alison Presmanes Hill (2017). blogdown: Creating Websites with R Markdown. Chapman & Hall/CRC. ISBN 9780815363729. Yihui Xie, 2008. 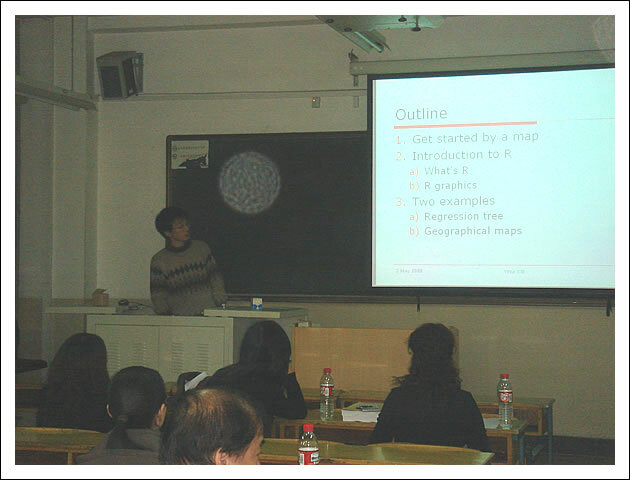 On the Applications of Statistical Graphics in Data Analysis, Statistics Review, Bo Zhang (ed), China Financial and Economic Publishing House. Yihui Xie, Yu Zhu, 2008. Bootstrap Methods: Developments and Frontiers, Statistics & Information Forum, 89, 90-96. Yihui Xie, 2007. 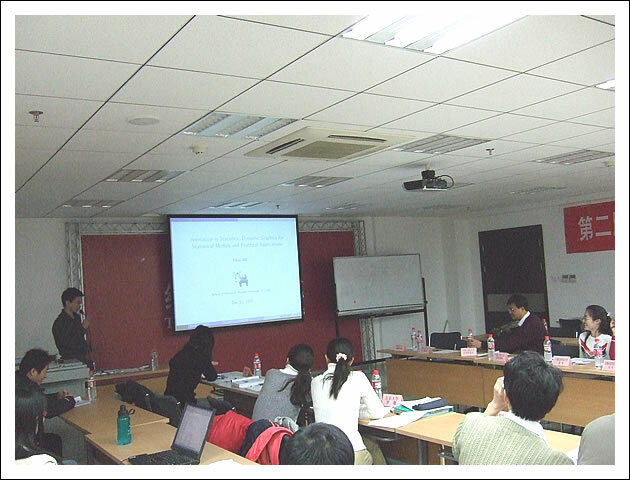 The Application of the Classification and Regression Tree Based on the Package rpart in R, Statistics & Information Forum, 86, 67-70. Yihui Xie, 2007. Series in International Competitiveness: How Weak is the Financial System of China?, China Statistics, 7, 35. Yanyun Zhao, Yihui Xie, 2006. Unbalanced growth in top 100 industrial enterprises in China: market expanding outgoes business managing, Talents, 9, 84. 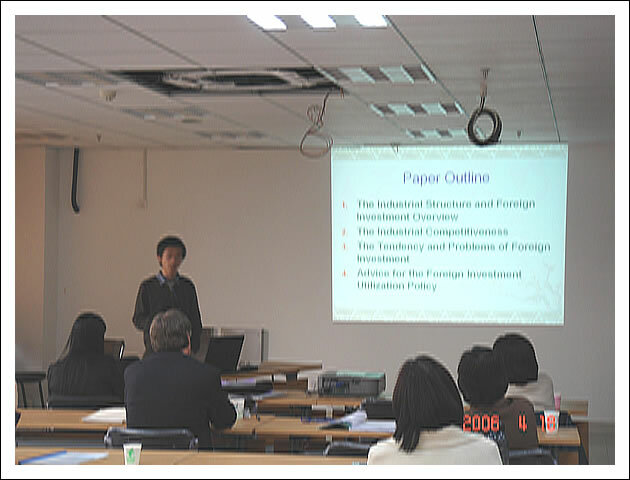 Yanyun Zhao, Yihui Xie, 2005. Who is the champion of growth among top 1000 industrial enterprises in China: analysis on the capability of market expanding and aggregate efficiency, Talents, 9, 72-73. 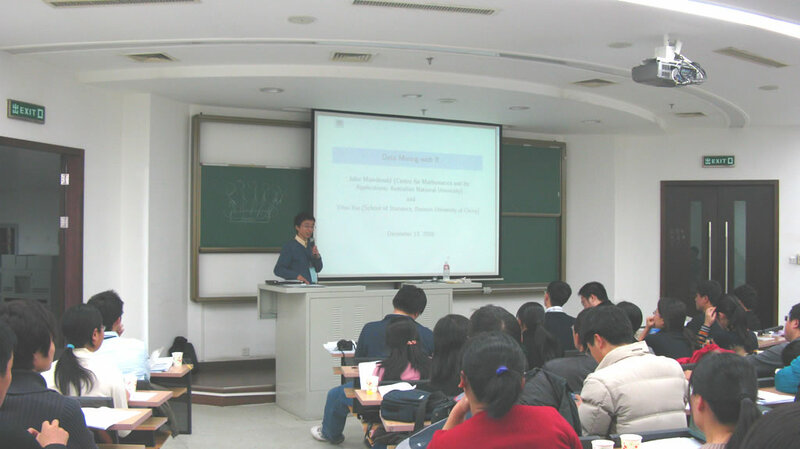 Besides, I published several articles in the Capital of Statistics in Chinese. I joined RStudio as a software engineer in 2013, and have been writing software tools for data visualization, reproducible research, and automatic reporting/document generation. From late 2014, I started working on the DT package for displaying tables, and DT is an interface to the DataTables library in both Shiny apps and R Markdown documents. At about the same time, I worked extensively on the leaflet package for interactive maps, to bring it to the HTML widgets framework. My 2015 was primarily spent on these two packages. In early 2016, I created a new package named tufte, to add the Tufte style to R Markdown documents and support both HTML and PDF output formats. I started the bookdown project in late 2015 to make it easier to write books and technical documents with R Markdown, and most of my time in 2016 was spent on this project. I also published a book for the bookdown package with Chapman & Hall/CRC in 2016. Since late 2016, I started the blogdown project, to create websites based on R Markdown. The package was finished, and the companion book was published by Chapman & Hall/CRC in 2017. I spent the first half of 2018 on writing the book “R Markdown: The Definitive Guide” (published in July), and the last few months on the R package pagedown. Typically I ignore any questions on Structural Equation Modeling (SEM) or factor analysis, since I’m not convinced of their usefulness at all. I know little about time series and do not like econometrics. I have little interest in quantitative research in social sciences. 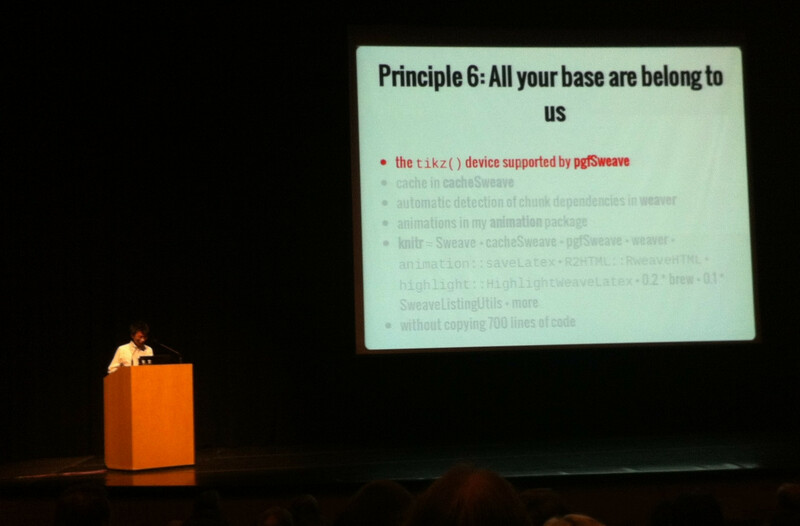 Most of my slides were generated from R Markdown (especially the ones in recent years). To download the R Markdown source documents, simply replace the extension .html with .Rmd in the address bar of your web browser. I like playing with computer tools for building web pages and statistical computation & graphics. I often try to improve the efficiency of my work by creating software tools (i.e. work hard to be lazy). Listed above are what I’m familiar with, and the ones being crossed out are due to my brain stack overflow and I do garbage collection in my brain once in a while. I support open source software, and below is a list of open source packages that I’m involved with.